Zan-Dura, from the popular 1978 novel Urshurak. Signed by the Hildebrandt bros. This painting is no longer available for sale. 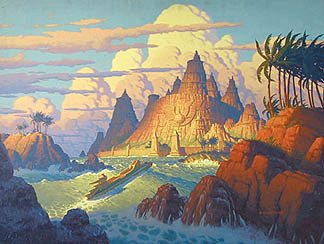 It remains in the private collection of Tim Hildebrandt's widow.